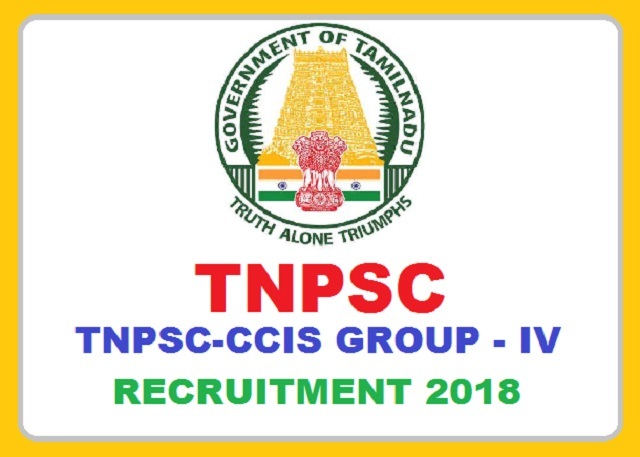 TNPSC CCIS-Group-IV Tamil Nadu Public Service Commission Recruitment 2017-2018, 9351 Jr. Assistant, VAO, Surveyor, Draftsman, Typist, Steno Posts Apply Online website www.tnpsc.gov.in. TNPSC pattern of examination, TNPSC Syllabus, TNPSC Question Paper, TNPSC Admit Date Release Date, TNPSC Exam Date, TNPSC Result Date Scroll Down. TNPSC CCIS Group-IV Exam 2018-9351 Posts - Apply Online. Candidates applying for Tamilnadu PSC Jobs Notification Vacancies should have the following educational qualifications(SSLC / 10th) (For example, if you have passed 12th / H.S.C / Diploma /Degree / PG you dont have maximum age limit). Group IV Junior Assistant (Non-security), Junior Assistant (Security), Bill Collector, Field Surveyor, Draftsman – Rs.5200 – 20,200/- + Grade Pay 2400 ( First month salary nearly Rs.21,000 / – ) . If you are a degree holder , you will get about Rs.1000 /- more. Group IV Typist Steno-Typist, Grade-III – Rs.5200– 20200 + Grade Pay 2800/- (PB-1) (PM) ( First month salary nearly Rs.20,000 / – ) . If you are a degree holder , you will get about Rs.1000 /- more. Note: Applicants who have already registered in One Time Registration system paying Rs.50/-before 13.12.2017 and those who have registered for One Time Registration on or after 13.12.2017 by paying Rs.150/- are exempted from paying the registration fee for this recruitment.